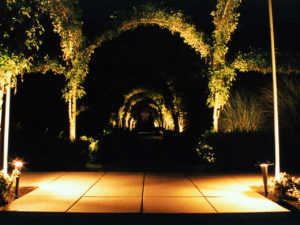 Installing a low-voltage lighting system will allow you to enjoy your beautiful landscape, long after the sun goes down. 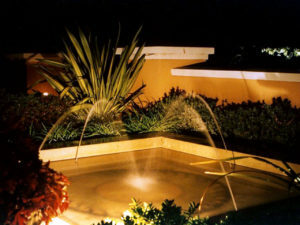 With possibilities that range from subtle to dramatic, adding illumination to your outdoor design will not only enhance the look and feel of your outdoor setting, it can also provide a level of safety. 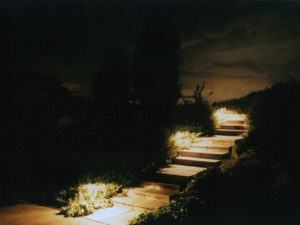 Fixtures for paths, stairs, up lighting, down lighting are available in a variety of colors and finishes that provide long life and durability. Our power transformers operate on light-sensing photo cells, timers, or a combination of both, ensuring efficient energy use that you don’t need to manage. 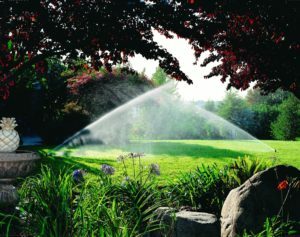 Our irrigation technicians are proficient in servicing a wide range of existing systems and water features. 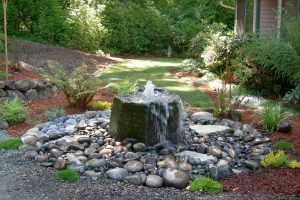 Irrigation service options include back-flow testing, spring start-ups, winter shut-downs, repairs, and re-working and improving your current water feature or irrigation setup.